Well, Ms. Hahn scared us cross-eyed with one of the most masterful ghost stories of juvenile literature, WAIT TILL HELEN COMES, so why not let's show her some love with her latest? Jen is thrilled to move into the castle that her father has inherited, and less thrilled with Maura, the woman he chose to marry since her mother passed away. Maura's obsessive passion for antiques is the least of her problems, or so Jen thinks. When Jen accidently breaks a glass globe from Maura's collection, the stepmother becomes increasingly creepy. If only Jen had known what that little orb held...and what she has unleashed! 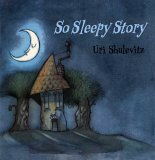 A little brown bat in the library's attic overhears an intruiging story about three bears, and another one about a hungry caterpillar. Who can blame him for wanting to get closer, and closer, and closer, so he can see the pictures and hear the story a little bit better? But when the mouselike mammal comes into view of the librarian and listeners, havoc ensues. Littlebat is so dejected; will he ever get to join in the storytime circle? His loving mother warmly reassures him that the right time will come, and as he waits through the seasons, indeed, there is a holiday where he can listen in comfortably and undetected. Off to a bookfair, and then to speak for the Michigan Association for Media in Education (MAME) (can't wait!). More Book-a-Day on Monday, if not before! HUBERT THE PUDGE (PICTURE BOOK) and PLANETESME POSTER! Sorry to start this review on a personal note, but WOW! Look at the wonderful gift my husband Jim gave to me! 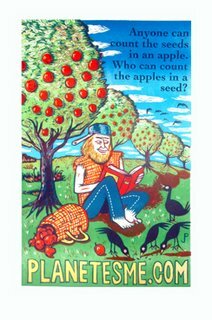 He designed this beautiful linoleum print poster; you'll notice it features my American hero, Johnny "Appleseed" Chapman. Every day he planted a seed, and in that way, he was able to change the landscape of our nation. I always think of reading aloud every day as a seed that we can plant that can also change our nation. Jim really ran with that...he has done limited edition posters for social concerns (and rock bands) for years, and I am really touched that he has commemorated our literacy efforts with his art. Thanks for letting me share my excitement and gratitude here at Book-a-Day...if you are interested, the poster is available for sale at his website. Should you ever have the pleasure of dancing a minuet with Colonel Lightfoot, you would find him indeed light on his feet but heavy on the hubris. While even the angels in heaven can't resist his talent, they couldn't possibly love him more than he loves himself, and a graceful gait was not the only gift he was given: admiration of his wide expanse of land comes in a close second. But with every gift there is a curse, and that curse is that the devil himself has taken to a plot on the colonel's plantation, turning it into a murky swamp unfit for plowing. The only way he can remedy the situation is with a throw-down show-down with the devil himself, with the angels above and demons below cheering for their favorite side. When the colonel begins to realize that he has met his match not only in skill but in ego, he cleverly uses this character flaw to his own advantage. Be careful, you devil, it takes one to know one! Trick-or-treat! I mean, I know its not Halloween yet, but it's coming up, so we had better start practicing. After I've dished up a few of my favorites, how about sharing some of your in the comments section? Friends in the children's lit blogosphere, want to add to the caudron-luck? Have you checked out the new Cybils, the 2006 Children's and YA Bloggers Literary Awards? Cool beans! Friday, 10/20, WONDERLAND BOOKS, 7:00 p.m.
Sunday, 10/22, Reading and signing at the WISCONSIN BOOK FESTIVAL, 4:00 p.m.
BUTTERLY EYES AND OTHER SECRETS OF THE MEADOW by Joyce Sidman, illustrated by Beth Krommes (Houghton Mifflin) Beautiful naturalistic scratchboard illustrations grace the latest "look at the world" poems by the award-winning author of SONG OF THE WATER BOATMAN. When I was around eleven years old, I read a comic book digest, "Little Lulu in Paris," and was so taken by Lulu's adventures that I vowed to someday visit all the places that Lulu had been. Here is a book that will inspire travel in children's futures, but for now, they can take a remarkable tour of Paris in a book. Sacre bleu! When little brother Simon is picked up from school, he has his belongings, but as he traipses the streets of 19th century Paris with his increasingly chagrined big sister Adele, he conveniently loses his items, piece by piece... his knapsack disappears mid-eclair at the Maison Cador Patisserie, the crayons go missing at the Louvre, and his coat is without a trace in front of the Cathedrale de Notre Dame. When friends conspire to retrieve his things, it is clear that all the siblings need is a good night's sleep in order for Adele to find the one thing she almost lost: her patience. Barbara McClintock deserves more recognition as an illustrator, exercising a cross between the mastery, imagination and elegance of John Tenniel (Alice's Adventures in Wonderland) and the sweetness and strong characterization of Ernest Sheppard (Wind in the Willows). She has an inimitable ability of mixing a classic art style and a contemporary mindset. If you were to collect every thing she puts her hand to, you wouldn't be sorry. In honor of Friday the 13th, we are celebrating the 13th and last volume of Lemony Snicket's dreadfully successful set, A SERIES OF UNFORTUNATE EVENTS, tapping into the dark and gloomy impluses of children for years, improving their vocabularies and training them for this terrible and fated day: the release of the finale. There is a long, clichéd history of unlucky orphaned children in the genre of children's literature, and the best of it, like the work of Roald Dahl or Charles Dickens, goes soaring over the top. 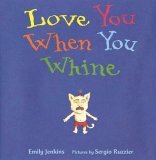 The hyperbole of misery in children's books actually keeps such books from being too miserable; children widely recognize how unlikely it is that one's parents will be eaten by a rhinoceros, for example, or that they will be forced into a life of pick-pocketing, or that an evil tatooed imposter will try to try to take your sister as a child-bride for her money. That is why I am a fan of Lemony Snicket's Series of Unfortunate Events. It reads to me as a parody, less of children's worst fears than that of their parents'. The element of being orphaned, though terrifying in reality, in print form allows children to play out vicariously a sense of responsibility for one's destiny, and all the possibility and problem-solving and unadulterated freedom that comes along with it, for better or worse...in these books, it happens to be for worse. In the case of A Series of Unfortunate Events, that which does not kill the reader, I suppose, makes him or her stronger, and it seems only the characters are due to have their cords cut. So of course the books are popular. The misadventures are funny, scary, inappropriate, dastardly, naughty, crazy, page-turning, cliffhanging delights. If the Freudian "id" had a library card, it would check out A Series of Unfortunate Events. And yes, I am a fan, even if in THE ERSATZ ELEVATOR, he did happen to give his most evil female character my name. My perfectly good name. Huh. Am I supposed to consider that just another 'unfortunate event'? Snicket better watch his back. Read my abridged comments and the comments of many others about the approach of the last book in A Series of Unfortunate Events in "Friday the 13th Closes the Book on Lemony Snicket " in USA TODAY, which will serve as Friday's Book-A-Day. When it comes to Lemony Snicket, I'd say, happy reading! Except it doesn't exactly apply. More books by award-winning authors! Everyone kept telling me to get two copies of this book, and I wondered, what are they talking about? Why would I need two? Well, after reading it, may I say: get two, because like any great sandwich, you're going to want to share. In this wordless picture book, a little pig spills some milk and sets off a Rube Goldberg-style chain of events (an cause-and effect storytelling approach also seen in the author's other recent work LIGHTS OUT), followed pictorally one by one, that result in the catastophic destruction of the house. Yes, that's right, the house falls down. On the last page, however, all we can see is the relief that the family is still together. Having a real bad day? Like, a real bad day? You're not the only one. 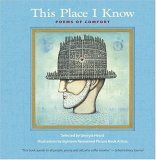 Find comfort in the company of books! 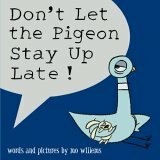 A gentle reminder FYI: there are instructions for a Storytime Sleepover Party (and fundraiser!) on pages 78-80 in my guide HOW TO GET YOUR CHILD TO LOVE READING. I will be appearing at Barnes & Noble in Evanston, IL, 1630 Sherman Avenue, 847.424.0993, this Saturday (tomorrow) October 7th at 8:30 a.m. (yes, that's in the morning) to speak about my new book VIVE LA PARIS in conjunction with their educator's programming. Call to reserve a spot! If you're in the area, I'd love to see you! Throw your own unbirthday party by clicking here! There is a genre of children's literature that my friend refers eye-rollingly to as the "mommy-mommy book," in which a child is repeatedly reassured that the love of the parent knows no bounds. It goes way back to Margaret Wise Brown's vintage THE RUNAWAY BUNNY to Sam McBratney's modern GUESS HOW MUCH I LOVE YOU, both bestsellers and both featuring bunnies, but lest you think only lapins can love unconditionally, there are many other examples, including the surprisingly warm human accounting done with an Arctic backdrop in Barbara Joose's classic MAMA, DO YOU LOVE ME? and the perpetually and inexplicably popular LOVE YOU FOREVER ,which somehow reads like some sort of terrifyingly twisted Hitchcock jaunt, but who am I to second-guess such success (or the genius of its author Robert Munsch, who can make you laugh even harder than he can make you cry)? There are enough lesser-accomplished examples of eternal, infernal mother-child wheedling in children's books that I will someday compile a "mommy-mommy" booklist for a webpage that you can refer to the next time you have a hormonal swing. Sigh. Oh, that Ken Robbins. He really gets it. He knows that when people pick up a book with photographs, they are looking for something real, something captured from life, and something with brevity, letting the pictures be worth a thousand words. He perpetually achieves a graceful balance between his evocative, clear photographs and a minimal amount of equally clear and direct text; a teacher's dream, folks. This season, squash is on the menu, and he serves it up from flower to fruit, with close-ups and wide angles, and always a sense of the farm from whence it comes. Big pumpkins, little pumpkins, pumpkins carved into jack-o-lanterns on a spooky, out-of-focus Halloween night, and pumpkins dilapidated and rotting, but full of the seeds that will sprout the story all over again. Who are some of your favorite authors who use the photographic form? Nina Crews? George Ancona? Share in the comments section! Do you like the content-rich Dorling Kindersley style of "museum in a book," which revolutionized publishing with their groundbreaking photographic "Eyewitness" series? Don't just stare, take a picture, it'll last longer...especially if it's in a book!